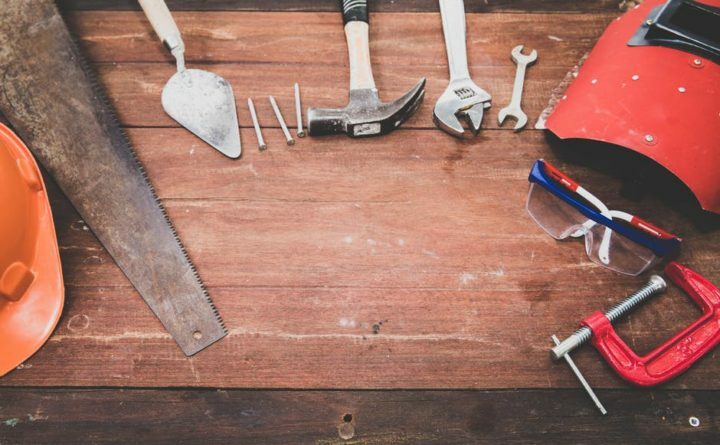 Here are nine items you need in your toolbox to get started, with tips from experienced homesteaders and bloggers. Tools make life easier in many different areas of homesteading life, from the kitchen to the garden. Setting up a traditional toolbox with the hardware necessary for construction around the homestead, though, can be intimidating, especially if you are a new homesteader with little experience in such things. Safety first on the homestead. No matter what you are doing around your property, it is important to protect your eyes. You never know what could fly around when you are cutting firewood or doing construction around the homestead. Look for safety glasses with American National Safety Institute Z87.1 certification, which indicates eyewear provides protection from impact, non-ionizing radiation and liquid splash exposure. The certification is indicated with a sticker on the lens. Anti-scratch coating will improve the longevity of your safety glasses, and anti-fog coating will help. A pocket knife, also known as a penknife or a jack-knife, is a foldable knife with one or more blades in the handle. Having a knife in your toolbox is useful, but as the name suggests it is even more useful to carry around for quick uses, like opening packages, cutting twine and opening cans. There are many different kinds of pocket knifes, but for your first one, a single-blade, plain (as opposed to serrated) knife with a medium-sized blade, between 2 and 4 inches, is probably the best choice for easy, versatile use. Axes are essential for cutting up fallen trees or chopping wood for fireplaces and wood-burning stoves. “Who ever heard of a homestead that didn’t have an ax on it?” Harold Thornbro, homesteader and blogger at The Small Town Homestead, said. For your homestead, look for a splitting ax, which cuts with the grain of the wood, rather than forest axes, which cut across the grain. The concave splitting ax cuts broader sections of wood more quickly and easily than its rounded-edged counterpart. “I own many axes, but I chose a single one, a splitting ax, because it can do the job of just about any ax,” Zeiger added. A socket wrench is a tool with a handle with a perpendicular bit attached to a “ratchet,” a mechanical device that moves in one direction that is perfect for tightening and loosening nuts and bolts. Socket wrenches generally come with a set of cylinder shaped “sockets” of various sizes that fit onto the bit, which will stay in place as you turn the handle. A socket wrenches set is vital for maintaining electrical systems around the house, but socket wrenches also have a number of versatile uses around the homestead. Whether you are working on structures, farm equipment or your car, a socket wrench will come in handy anywhere you find nuts and bolts. “[My socket wrench set] has a set of driver heads, and a ratcheting, interchangeable handle, so I can do almost everything from that one kit,” Zeiger said. Using a hammer to nail something together is great when you are building structures that will be exposed to a shear, or sideways, pressure, like the joists of a deck or the frame of a structure. A hammer and nails can also used to temporarily tack something to a wall or quickly construct a simple container for your garden like a cold frame. “When it comes to fast construction, nothing beats a hammer and nails,” Zeiger said. For your first hammer, look for one that weighs between 16 and 20 ounces with a smooth, wide face and a steel or fiberglass handle, which will not splinter as quickly as a wood handle. Purchase an assortment of nails in varying lengths for different projects. In comparison to hammers and nails, screwdrivers and screws keep things together tightly. A convertible screwdriver, which has both a flat head and a Phillips head, which is star-shaped, is especially handy. If you do not know what you need your screws for, purchase a varied assortment. The size and material of the screw will determine how it should be used around the homestead, so you may need to purchase them on a project-by-project basis. Saws are extremely useful for cutting timber for building projects. The best first saw you get will depend on what you plan to do most around your homestead. “I have and use carpenter saws, hack saws, and keyhole saws, but much more often, I use bow saws for cutting firewood,” Zeiger said. Whether you are sawing, drilling or just moving musty objects, homesteading can kick up a lot of dust. These particulates may seem harmless in the moment, but the airborne particles we breathe can have a cumulative negative impact on our health over time. Dust masks come in a variety of styles, from the simple white disposable covers to black and chrome futuristic-looking reusable apparatuses. No matter which you opt for, Zeiger recommended N95 or N99, which are designed to filter 95 percent to 99 percent of particulates in the air. Unlike their corded counterparts, cordless drills rely on a battery pack for power instead of an electrical, which adds a bit of mobility at the expense of a little bit of power. For most of the uses for a drill around your homestead, however, a cordless drill packs just the right amount of punch. Cordless drills can be used to create pilot holes in order to guide your screwing or nailing, or in place of a screwdriver for tasks you want to complete quicker or through thicker materials. Thornbro recommends getting a wide variety of quality bits to increase the versatility of your tool. With these 9 items in your toolbox, you will be able to fix darn near anything on your homestead. Teri Page, homesteader and blogger at Homestead Honey, added one more thing to the list.